5:50–As a college admissions scandal and investigation continues to make national news, Cindy Thompson of Iowa State University Extension talks about appropriate (and completely legal) ways parents can help prepare children for their futures. 6:35–The Supreme Court denied a gun advocate’s challenge to a ban on bump stocks. Fox News Radio Legal Analyst Loretta Powers talks with KXEL’s Jeff Stein about the attempt to eliminate the devices which make semiautomatic rifles perform like automatic weapons. 7:35–TV9 Meteorologist Kaj O’Mara says there is a good chance eastern Iowa will see precipitation each day through Friday, with some snow expected in far northern counties. 7:50–Matt Beatty, Director of the Iowa Senior Games, will be in the Cedar Valley Friday morning to talk about the competitions and the social opportunities the games provide. He shares the details with KXEL’s Tim Harwood. And, listen for your chance to claim a copy of Kyle Idleman’s book, Don’t Give Up; Faith That Gives You the Confidence to Keep Believing and the Courage to Keep Going. A listener will win a copy sometime during the program each morning. 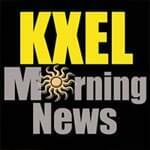 Plus the weather every 10 minutes, 50 percent more news than before, agribusiness information at :15 past each hour, and sports at :30 past each hour…a great way to start the day…the KXEL Morning News with Tim Harwood, Jeff Stein, and Mark Morris, Wednesday between 5 and 8 a.m. on News/Talk 1540 KXEL.